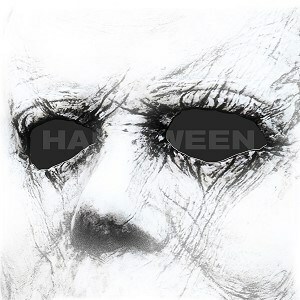 For the first time, Sacred Bones Records is making the formerly mail order-exclusive “art edition” of John Carpenter, Cody Carpenter, and Daniel Davies’s Halloween soundtrack available for wide distribution. The art edition features deluxe packaging with unique art by Chris Bilheimer, as well as a massive foldout poster. This version is pressed on “Blood Puddle” colour vinyl (clear vinyl with inset red “puddle”) and is limited to 2000 units. The new Halloween movie has the distinction of being the first film in the series with creator John Carpenter’s direct involvement since 1982’s Halloween III: Season of the Witch. Carpenter serves on the new David Gordon Green-directed instalment as an executive producer, a creative consultant, and, thrillingly, as a soundtrack composer, alongside his collaborators from his three recent solo albums, Cody Carpenter and Daniel Davies.